If someone who is divorced does not have any work credits accumulated and does not qualify for Social Security benefits, she may be eligible for benefits based on the record of her former spouse. Social Security imposes some conditions, however, including the requirement that the marriage lasted at least 10 years. Spouse benefits can amount to up to 50 percent of the principle worker's own monthly benefit. In addition, the ex-spouse must be at least 62 years of age to qualify for benefits on the work record of a former spouse and cannot remarry. If the ex-spouse does remarry and her second marriage ends, she may again qualify for benefits. However, eligible spouses may not draw from their ex-spouse's benefits if their Social Security benefit, based on their own work record, would be higher than the benefit received under the ex-spouse's record. If your ex-spouse has worked in the past and is eligible for her own lower benefit, Social Security pays that amount first, then makes up the difference between her benefit and yours. If she begins drawing retirement before the full retirement age, Social Security pays a reduced amount, just as the agency would for ordinary retirees. Full retirement age varies between 65 and 67, depending on birth year. Social Security makes an exception to the 10-year rule for an ex-spouse who is caring for a child under 16 or a disabled child. In this case, the marriage need not have lasted at least 10 years for the ex-spouse to draw the benefit. The child must be the natural or adopted child of the marriage for which the ex-spouse is applying for benefits. The rules on benefits for an ex-spouse apply if the principal worker is entitled to and is already receiving retirement benefits. If she meets the 10-year rule and other guidelines, an ex-spouse may apply for benefits after the divorce takes place. In addition, your ex-spouse can apply for benefits even if you have not yet begun drawing Social Security, but in this case, the ex-spouse must wait until two years after the divorce to apply. Can a Child Receive SSD & Child Support? 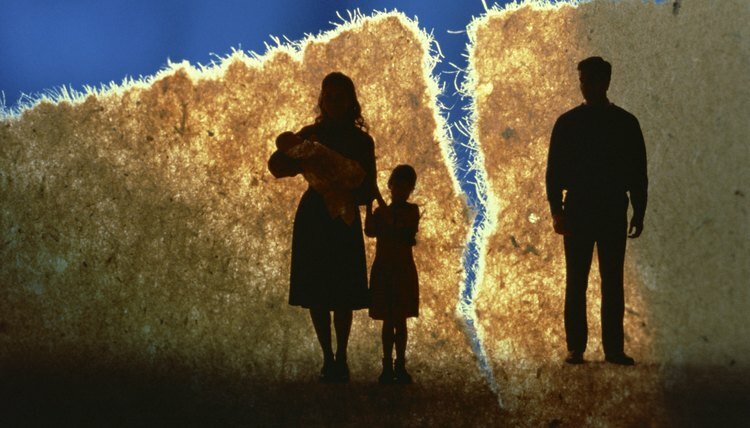 Divorce is difficult enough when parents are hale and healthy. When one is disabled, this can potentially affect decisions and rulings ranging from custody to support. If your spouse receives Social Security Disability Insurance and your child is entitled to derivative benefits based on his eligibility, it can affect the amount of child support he will have to pay when your divorce is final. If your child is disabled, she would receive Supplemental Security Income or SSI, not SSDI. Different rules apply to SSI.